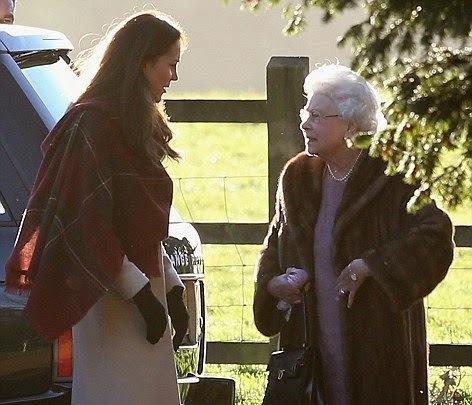 As soon as I saw the Duchess of Cambridge step out for church on Christmas morning accessorising her brown tweed "Turpin" coat by British label Moloh with the most fabulous printed silk scarf, I just knew I had to have one, if we ever got an ID on it. 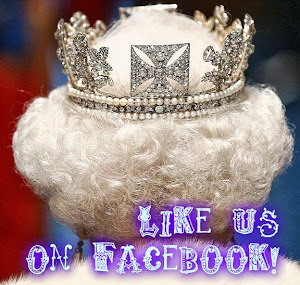 Turns out I was in luck (an with me, undoubtably, were a number of Kate fashion followers!) 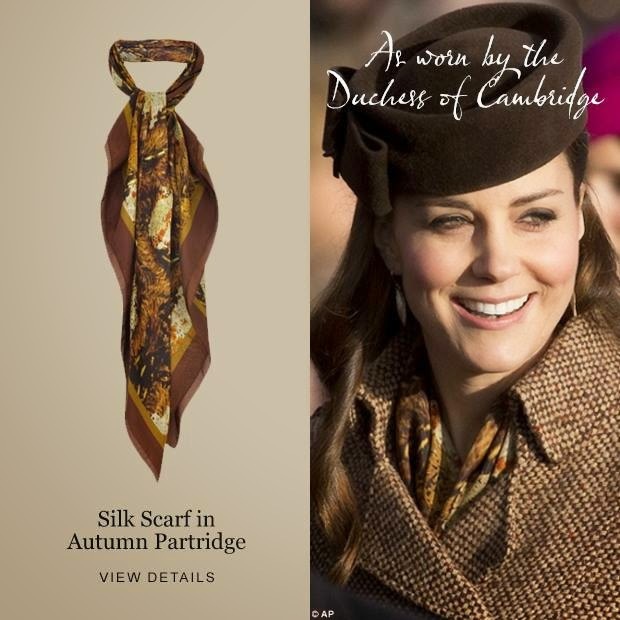 as, only a few days after Christmas, Berkshire-based company Really Wild Clothing published the above photograph on their Facebook page, identifying the scarf the Duchess wore as their own "Silk Scarf in Autumn Partridge" (currently unavailable, although I'm pretty confident it will be restocked sometime soon, as the above photo still features prominently on the Really Wild homepage). It's worth noting that Catherine first wore a Really Wild item in public on Christmas Day 2013, when she made an early morning church appearance wrapped up warm in the company's Cashmere Mix Wrap in Claret (available for pre-order here). Having put my name on a waiting list for the cashmere mix wrap last year, I'd been thrilled with the customer service at Really Wild: attentive, efficient and offering prompt reply to enquires. I'm sorry to say I was significantly less impressed this time around. By the time I saw the original Facebook post from Really Wild, the scarf was, predictably, sold out. So I commented on the photo asking whether they were expecting any more stock. No reply was given. I then emailed them with the same question. Again, silence. Anyway, as I was really interested in the scarf, I kept checking the website regularly for updates and, sure enough, on 30 December more stock was listed and I was able to purchase the scarf! Afterwards, I noticed my Facebook comment had just been deleted without reply after the scarf became available again. My email enquiry, on the other hand, received a reply only after the item had been delivered to me, having therefore lost all relevance by then. Moreover, they state on the website that you'll be notified by email when your items are shipped, but no such email was received in this instance, leaving me to wonder whether my parcel was already on its way or still sitting around in a Berkshire warehouse - so, well, not so very happy with customer services this time around! But never mind, as my scarf eventually arrived, wrapped in Really Wild tissue paper and complete with glossy catologue, and it is gorgeous! The scarf retails at £125 (about $190 or €160), plus £12 (about $18 or €15) for shipping so, for me at least, definitely on the expensive side for a scarf, even a silk one. Happily, I love it in person just as much as I did on the website, and I could justify the expense as it will go beautifully with my Hobbs camel coat! 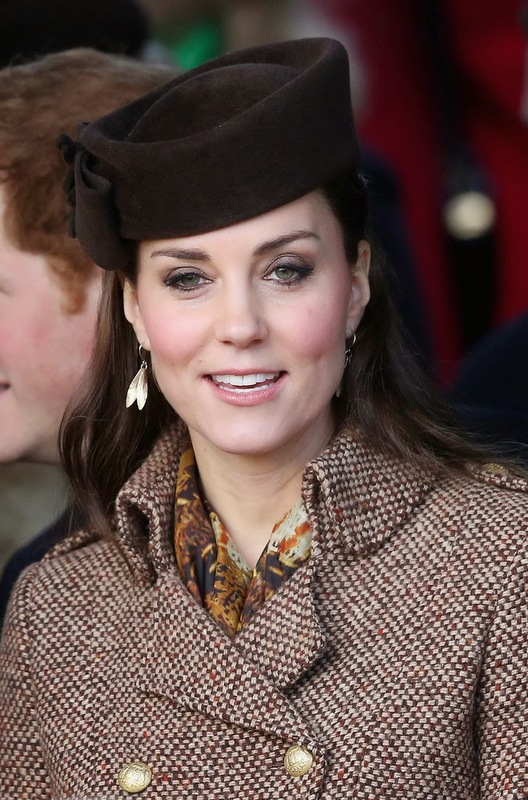 As for what to accessorize it with, I'll be taking a leaf out of the Duchess' book and pair it with gold-tone jewellery, namely my Catherine Zoraida Double-Leaf earrings (reviewed here) and Asprey Woodland Charms replica by The Looking Glass Shop (reviewed here). Clockwise from top centre: Chanel Le Vernis Nail Colour in 579 Paparazzi and 639 Exception, Estée Lauder Pure Color in M1 Buffed, Guerlain La Laque Couleur in 400 Coque d'Or, Dior Diorific Vernis in 241 Gold Equinoxe, Chanel Le Vernis Nail Colour in 625 Secret and 569 Emprise, Butter London 3-Free Nail Lacquer in Goss, Nails Inc. Nail Polish in 041 Cadogan Square and Dior Vernis in 223 Trench.